It's a rumor that's been making the rounds for quite some time, going back as far as March of 2011: Apple moving production of their custom ARM-based processors from Samsung to TSMC. Taiwan Semiconductor Manufacturing Company has increasingly been named as a principle benefactor of Apple's unhappy relationship with rival and former frenemy (now verging on full-time enemy) Samsung. Now, According to the AFP, the Taiwanese Commercial Times is reporting that TSMC has been contracted by Apple to produce the company's A6X chip. 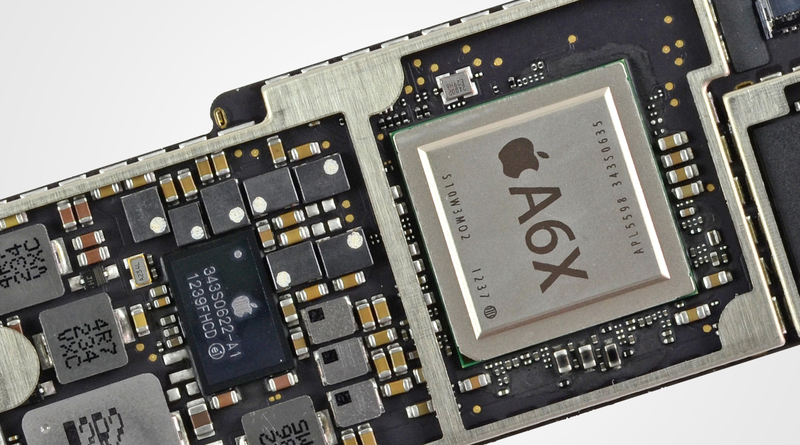 The A6X currently powers the iPad 4, with the A6 processor installed in the iPhone 5. Apple has reportedly contracted Samsung until 2014 for processor fabrication, if they were to move manufacturing completely or in large part away from Samsung they'd have to start soon. As Commercial Times claims, TSMC is due to begin trial production of the A6X in the first quarter of 2013, and assuming all goes well, could see a full ramp-up later in the year. The Korean electronics giant that is Samsung has been manufacturing chips for iOS devices for years now, supplying the chips that have powered every iPhone to date - starting with the Samsung ARM 1176JZ(F)-S v1.0 processor that beat at the core of the original iPhone (though the 620MHz chip was underclocked to 412MHz). Apple's copious contracting of custom iPhone components from Samsung has pumped up the expertise of Samsung, leading in part to the highly competitive Android-powered handsets now coming out of Seoul. Apple's already handling their own processor design, research, and development, but manufacturing isn't something they do on their own anymore. Given the state of the relationship between Apple and Samsung, it's no surprise that Apple's attempting to move more components away from their rival's factories. It certainly doesn't help that Samsung recently hiked up the price they charge Apple for chip fabrication by 20%. Whether TSMC will become Apple's primary chip supplier or merely supplement Samsung is unclear - Apple had to call on a combination of Sharp and Toshiba to take on the load of manufacturing screens for the iPhone 5.